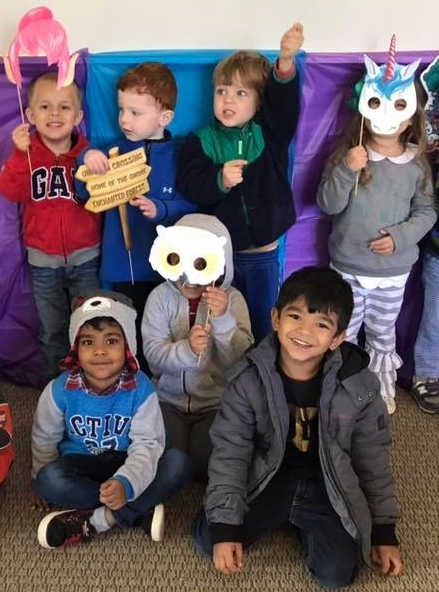 SSUMC Preschool & Kindergarten— Where Children Shine! SSUMC Preschool & Kindergarten has been providing outstanding preschool and pre-kindergarten education since 1963. Our children, aged 12 months through 5 years old, receive the solid educational foundation they need to prepare them for success in both private and public schools. Located on 9 acres in the heart of Sandy Springs, our school takes full advantage of our natural surroundings through our Outdoor Classroom. We offer unique opportunities to children through our weekly STEAM (Science, Technology, Engineering, Art & Math) program as well. It is our belief that children and their families benefit immensely from participation in early education and it is our honor and privilege to share in this early childhood experience. We welcome families, children and staff from all faiths, races and nationalities to our school. We hope you’ll take some time to look around our website, visit our school, and consider us first among the many educational opportunities available to your family. We have enjoyed over 10 years of continuing accreditation (since 2008) by AdvancED (formerly, SACS, the Southern Association of Colleges and Schools). We’d like to thank our Accreditation Team for their visit March 6th & 7th, 2019! We are committed to continuous improvement in the service to the children at our school!! We are so proud that you have recommended us for Re-Accreditation for another 5 years!! See you in 2024! Early learning schools that have earned AdvancED Accreditation meet recognized standards of quality, impact children’s lifelong learning and support young children in the highest regard. AdvancED Performance Accreditation for Early Learning Schools motivates schools to continuously improve on behalf of the young children they serve. We’ve also been continuously certified as a Program of Excellence since 1997 by the United Methodist’s North Georgia Conference Preschool Association. Our Vision for the children of our community, as they grow with us and beyond us, is to form a lifelong, positive relationship with God; to respect, accept and embrace everyone in a manner consistent with the teaching of Christ; to have a deep-rooted love of learning; and to experience continuing academic success. Our Mission is to provide a loving, stimulating and safe environment for children; to provide a Christian program of academic excellence; to accept each child for who he/she is; to positively motivate each child to move toward the goal of skills acquisition; to prepare each child in equal measure spiritually, socially, emotionally, intellectually and physically for life in a constantly changing world. We believe in God’s grace and will model Christ’s compassion for one another in order that our children may see themselves as unique creations of God and our families may be nourished in faith, mutual love and trust. We are an inclusive school that welcomes all children regardless of their race, religion, national origin or learning difference. We believe play is the language of children and the foundation of quality preschools. We believe children have an innate wonder of God’s natural world and will provide outdoor experiences that encourage understanding, exploration, curiosity and connection to nature. We believe in fostering independent thinking, problem solving, creativity and capability in our children. We accept each child, parent, teacher and staff member as a person of worth and value. We will treat one another with dignity, compassion, grace, integrity, honesty and humanity, and will be worthy of the love and trust of our children. We will foster healthy peer relationships among the children in the classroom, between the staff and parents, and among the staff of the preschool. We will treat one another with dignity, compassion, grace, integrity, honesty and humanity and be worthy of the love and trust of our children. We believe our similarities and differences are to be celebrated and embraced. We promote healthy peer relationships between our children, ourselves and in partnership with parents. We will favor decisions based on God’s guidance that create long term improvements for parents and children over short term expediency for the preschool or the individual and organization we serve.